As you know, from time to time companies approach me about trying our their product. I love passing along the freebies to you! 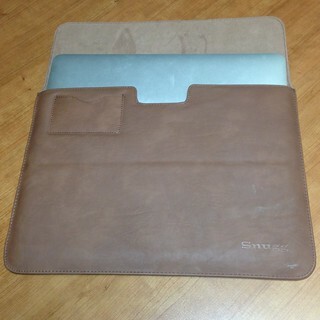 Thanks to Cory for reviewing the SNUGG 13″ MacBook Air Wallet Case! 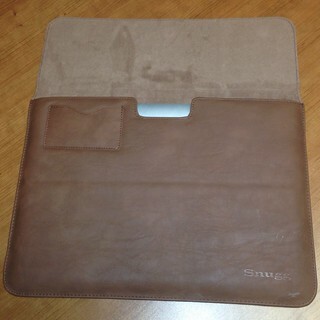 Recently I received a Snugg laptop case for a 13″ Mac Book Air. I have used if for about a month and have really been enjoying it. It very functional and fits the computer just right. We’ve all had that case that is so tight that you struggled to get your computer in it. What I liked about it was is simple look and feel and durable construction. 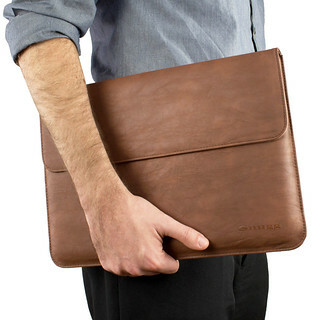 It is flat leather and very stylish and receives plenty of complements at business meetings. In addition to its good looks, it offers a good amount of protection from bumps and drops. 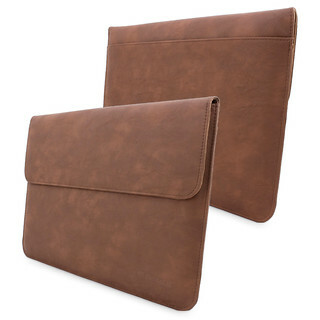 It comes with a ample pocket on the back that is large enough to hold a decent sized file. It also features a business card holder just under the cover. If you are thinking about pick one up I would recommend it.